Classic and functional, yet beautiful and sophisticated, perfectly describes The Downtown Chair. With rich, dark solid beech legs supporting a fully upholstered seat in luxurious contrasting fabric. The seat and back are designed for your maximum comfort and support, made from cold foam on webbing, contoured perfectly to mould and soften to each shape. The open back rest is a smart design feature, both in terms of appeal and interest to the eye and how it creates a more open feel and visual flow through your dining space. 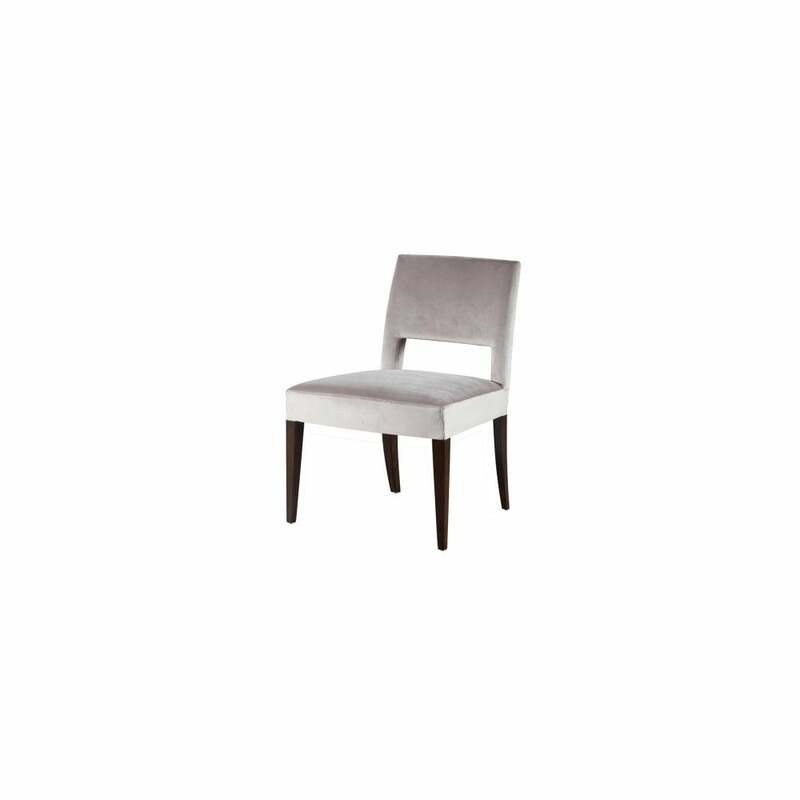 The Downton chair, beautifully crafted yet in it's simplicity of design and neutral tones can be placed in and compliment any number of dining settings. The epitome of comfort and function in perfect union.